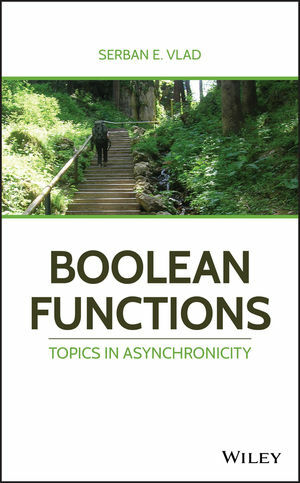 Boolean Functions: Topics in Asynchronicity contains the most current research in several issues of asynchronous Boolean systems. In this framework, asynchronicity means that the functions which model the digital circuits from electronics iterate their coordinates independently on each other and the author—a noted expert in the field—includes a formal mathematical description of these systems. Filled with helpful definitions and illustrative examples, the book covers a range of topics such as morphisms, antimorphisms, invariant sets, path connected sets, attractors. Further, it studies race freedom, called here the technical condition of proper operation, together with some of its generalized and strengthened versions, and also time reversal, borrowed from physics and also from dynamical systems, together with the symmetry that it generates. Employs use of the language of algebraic topology and homological algebra. Written formathematicians and computer scientists interested in the theory and applications of Boolean functions, dynamical systems, and circuits, Boolean Functions: Topics in Asynchronicity is an authoritative guide indicating a way of using the unbounded delay model of computation of the Boolean functions in the analysis of the Boolean networks. SERBAN E. VLAD is an Analyst Programmer at Oradea City Hall, Romania. He is a member of the Romanian and the German societies of industrial and applied mathematics, ROMAI and GAMM. He is the author of many papers and several books and book chapters.